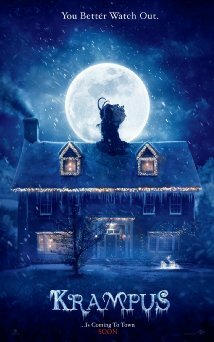 When you see the trailer for KRAMPUS, you might think part CHRISTMAS VACATION, part POLTERGEIST. Summary: When one little boy brings the bah-humbug to Christmas, he unknowingly summons the Christmas Demon, Krampus—who is out to punish non-believers. Family members turn on each other and all heck breaks loose – led by great comedic actors Adam Scott, Toni Collette and David Koechner. “Krampus” is rated PG-13. It kind of makes you feel like you need to see it in order to stay on the nice list!